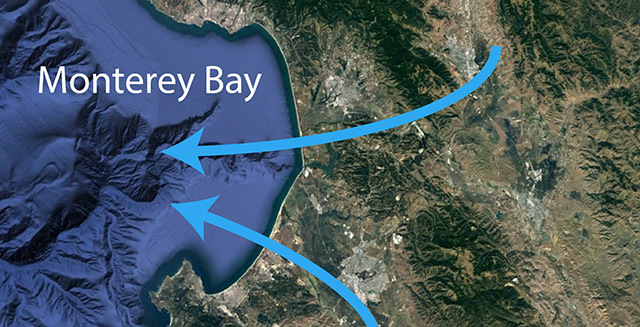 This map shows how carbon dioxide from land flows out across Monterey Bay with morning land breezes. Browse MBARI news releases and articles about our research and technology. Keep up on the latest MBARI research using Facebook, Twitter, Google+, YouTube, or our RSS feed. A one-stop shop for members of the media and those interested in licensing MBARI's images and video. Browse accounts of MBARI work from media around the world.